Unlike my 308 vs 30-06 article, this one is NOT splitting hairs. 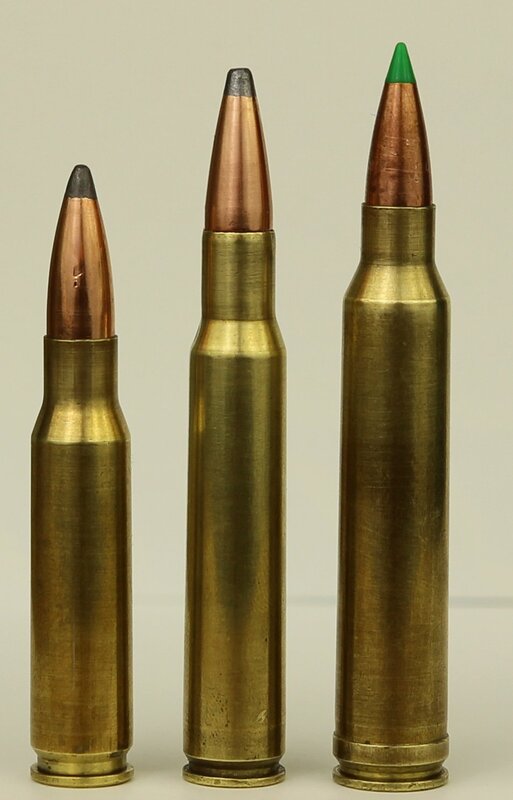 There is a great deal of difference between the 300 Winchester Magnum, affectionately known as the “300 Win Mag”, and the 308 Winchester. I’ll be primarily writing this article in mind of new hunters looking at rifles chambered in each of these cartridges, but I’ll make note of where other types of hunters or shooters might prefer one over the other. 308 and 300 Win Mag are both great for taking big game in North America. They’re both readily available at sporting goods stores. Recoil: Recoil is far less in a 308 than a 300 win mag. Recoil in a 308 is usually around 12 or 13 ft-lbs, while it’s 20+ ft-lbs in a 300 win mag. That’s more recoil than most new hunters should be starting with. Weight: The 308 is in a short action AND it works fine with a shorter barrel.Rifles chambered for magnum rounds usually have 2″ longer barrels, and yet more weight. Magazine Capacity: Almost always higher in a 308 compared with a 300 win mag rifle. Not that you need more than 1 round anyways, right? Cost: The most inexpensive rifles, such as the Savage Axis, are not available in 300 Win Mag. Ammo is also a lot cheaper in 308. Barrel Life: A 308 barrel can be expected to last for 2-3 times the number of shots fired compared with a 300 Win Mag. Not a huge win if you just go hunting and fire 5 rounds a year, but a bigger consideration if you shoot a lot more at the range. Speed and Trajectory: The big difference here is that the 300 win mag will send a 180 grain bullet, which is at the top end of the 308’s abilities, at almost 3000 fps. That speed brings a nice, flat trajectory that makes it a bit easier to hit at long distance. At 500 yards, a 308 zeroed for 200 yards with a 165 grain bullet will need 47.7″ of correction while the 300 win mag will only need 38.7″. Energy: The 308 is great for bear, moose and elk, but only at reasonable distances, typically inside of 350 yards. The 300 Win Mag can put the same energy on target at out to 600 yards, nearly twice the distance. 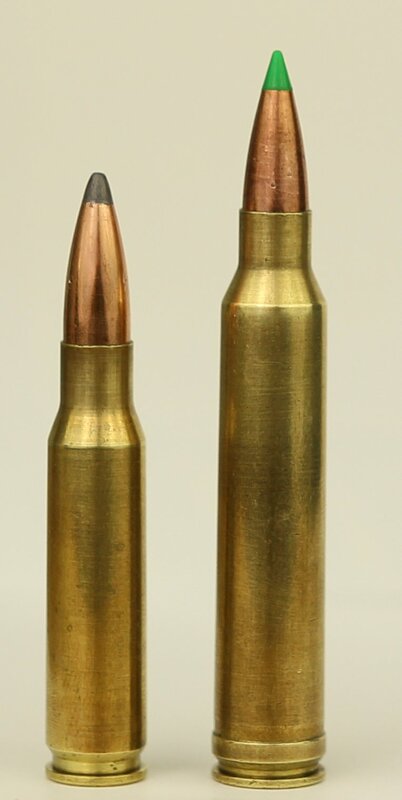 On deer, it hauls enough energy (1000 ft-lbs) to take them down at 700-800 yards, while the 308 runs out of steam at 700 and really should be kept inside 500 to keep impact velocity above most bullet manufacturer’s recommended 1800 fps. Long range hunters and experienced hunters taking Elk and Moose at longer ranges may appreciate and require the better terminal performance of the 300 Win Mag. But for new hunters: 308, every damn day of the week. Why? New hunters are usually new shooters as well, and the recoil of 300 Win Mag is a lot: enough to give new hunters a bad flinch and keep them from a great trigger pull. If cost and recoil keep them from shooting their rifle at the range a lot, that’s going to hurt marksmanship skill as well. And what really causes failed shots on game is typically not because you didn’t use a hot-rod round: it’s usually bad shot placement. At under 300 yards, which is where pretty much all game gets taken anyways, the 308 is just fine.